Long Lasting Batteries with High Capacity, Do not need to be Fully Discharged before being recharged. 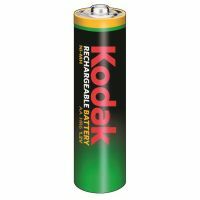 To Recieve updates and possible rewards for Kodak Kodak Uncharged AAA please sign in. To Recieve updates and possible rewards for Rechargeable Battery please sign in.